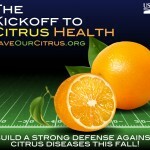 The Save our Citrus campaign is a project of the USDA to increase awareness of citrus disease nationwide. The Circlepoint team developed an innovative marketing plan to expand the Save Our Citrus campaign to generate greater buzz about the consequences of moving citrus and to motivate target audiences to take simple steps to help eradicate citrus pests and diseases. The campaign components include advertising, media outreach, and interactive engagement strategies and tactics—including search engine optimization (SEO), web banner advertising, social media, and a new iPhone app. 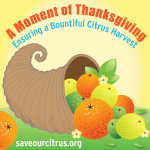 In total, the campaign has generated more than 197 million impressions through advertising, more than 70,000 visitors to the Save Our Citrus website, and over 1,400 downloads of the reporting app. With over 450 submissions through the app, reporting by the public has led to confirmed disease sightings. 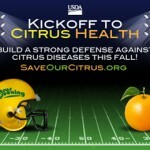 During the 2012 pre-growing and planting season, nearly 14 million online ads were displayed, primarily through an online banner advertising campaign, and nearly 27,000 people clicked through to the Save Our Citrus site for information. Our team successfully leveraged media buys to attain added value that exceeded all expectations for 2012, delivering nearly 700,000 bonus impressions and nearly 2,000 bonus clicks. 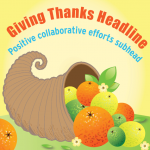 Our 2013 campaign focused on raising awareness about citrus greening disease and garnered nearly 5 million impressions from on-line display ads and search engine pay-per-click advertising. 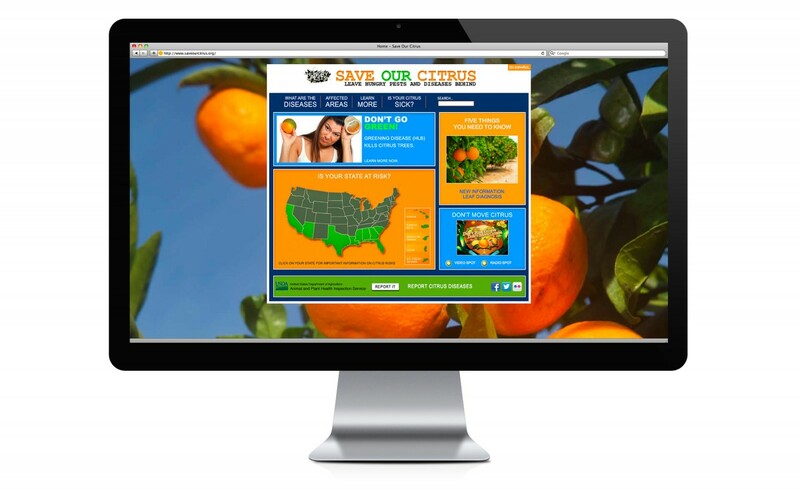 The Save Our Citrus campaign effectively increases website traffic between 100% to 500% during active advertising phases. 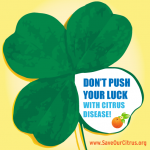 The focus of the 2014 campaign was to raise awareness of citrus disease and stop its spread, with an emphasis on increasing understanding among travelers and consumers of the potential risks associated with moving citrus trees and products. The new campaign concept, Move it and Lose it, featured a highly visual, graphic approach in order to appeal to a wide demographic. Informed by our understanding of the target audiences’ preferred channels for receiving and sharing information, the team also developed an engaging and actionable animated video. 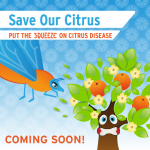 In both English and Spanish, the video includes a strong call to action, giving viewers the information and motivation to take the next step and “put the squeeze on citrus disease”. The campaign’s media mix diversified our online engagement activities and added greater value to our efforts. The 2014 ad campaign reached over 11.6 million people, social media efforts engaged over 389,500 viewers, and the English and Spanish websites have had more than 83,950 unique visitors.